Home or Business. Fast & Easy. Get a FREE Quote! If you are one of the many people who live a charmed life in the Eastern Suburbs close to Sydney, you may rely on your council provided curbside bin service to haul away your home or business garbage on a regular basis. While this may be the primary waste removal method that you use, there are times when it is not enough. When you need more significant or unique junk removal services, rest assured that our team at Same-Day Rubbish Removal can help you. 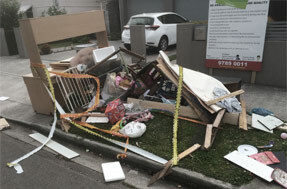 For the best value waste removal service, call us now on 0402 737 064. When you have junk scattered around your space or piling up in the yard or in the corner of your building, it is easy to feel stressed out. This is space that you could be using more productively, and the waste could be a health hazard as well as an eyesore. The good news is that your pile of junk could soon be a thing of the past. We provide residents in the Eastern Suburbs (including Bondi, Rose Bay, Vaucluse, Coogee, Maroubra and beyond) and other areas of Sydney with same-day rubbish removal service. We pride ourselves in the care we take and the quality service we provide. Not only do we do everything we can for our customers, but we also try to look after the environment by recycling. Our experience means we’ve tried all the best recycling locations, so you can be sure that if it’s possible for your junk to be recycled, we’ll make it happen. We’d encourage you to find other uses for your stuff before having us take it away, as reusing items is still better than recycling. If you can't find another use, don't worry, we'll work out the next best thing. Ready to Clean Up? Call Us! Getting your junk removed from your home or business property can seem like it would consume hours of your time and be a lot of hard work, but this is not the case at all. Our specialists can typically provide you with same-day service, and we will quickly remove the items from your property without causing damage to your yard, building or other areas. 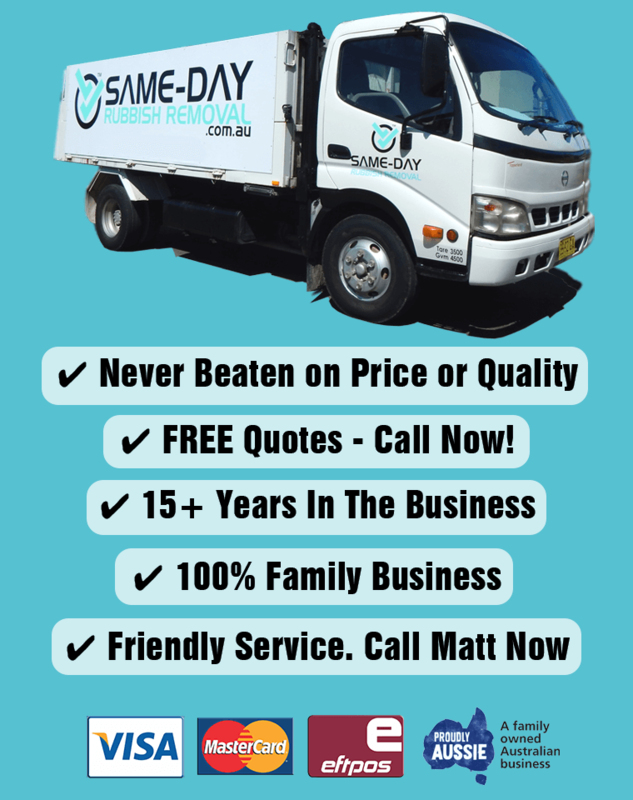 If you are ready to remove your junk the fast and easy way, now is a great time to contact Same-Day Rubbish Removal for a free quote. 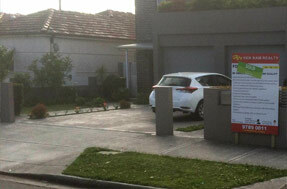 Call us now on 0402 737 046 and speak to our friendly team about your situation.